If you perform abortion yourself it is considered murder. 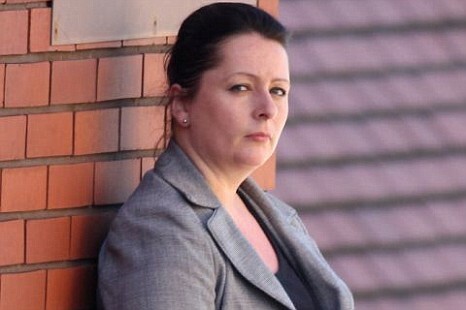 A British married woman was charged after aborting her baby in the final week of her pregnancy. She was sentenced to eight years in prison. Prosecutors called her crime cold, calculated and brutal. Sarah Catt, 35, of North Yorkshire, England, was accused of using a drug she bought online from a company in India to induce labor beyond the 24-week limit allowed by law, according to newspaper reports. She was 40 weeks pregnant when she ended her pregnancy in authorities said. Catt, who has two children with her husband, said the baby was stillborn and decided to bury him alone, according to reports. Catt believed that the baby was the result of a seven-year affair with a coworker that eventually ended. She never would have told her husband that she was pregnant, though he remained supportive of her during her detention. The judge, Judge Jeremy Cooke, scolded Catt for taking away the life of a child who was presumably days away from being born. "What you have done is to rob a seemingly healthy infant, vulnerable and helpless, that life which was about to begin," Cooke said. "The child in the womb was so close to being born, I think all right-thinking people would think this offense is more serious than manslaughter," he added. During the hearing, the judge was told that Catt previously gave a child up for adoption, had another abortion with the knowledge of her husband and tried to have an abortion in another case, but was beyond the legal limit. Catt’s last pregnancy was investigated by police after she failed to register her birth with an area hospital. She pleaded guilty to taking a poison to induce miscarriage. Investigators said they still want to know where the baby's remains were buried. "I just hope now that Catt has been convicted and has the time to reflect on her actions, she will reveal where she buried the body of her baby, so we can guarantee a compassionate conclusion to this very sad investigation," Chief Inspector Kerrin Smith said after the hearing.